Last week we announced our investment in Contentful, the leading content infrastructure provider for digital teams. OMERS Ventures participated in $33.5 million in Series D equity funding led by Sapphire Ventures alongside Salesforce Ventures, General Catalyst, Benchmark, Balderton Capital and Hercules, bringing the total funding for Contentful to $78.3 million. Our investment story begins several years ago as we started to understand more about the movement towards API-driven architecture, a way in which developers can build websites and apps more quickly by using microservices provided by other specialized vendors. In recent years, the popularity of API-driven development has enabled a number of microservice providers to become wildly successful, including Stripe, Twilio and SendGrid. These providers have leveraged this modern architecture, building “best of breed” functionality for developers to define new markets. OMERS Ventures has been a strong believer in the ongoing trend away from a monolithic world for a few years now. This thesis informed our decision to invest in Manifold in 2016, a marketplace that helps developers identify and integrate top microservices into their applications. Manifold was born out of a mission to provide developers with the freedom to select the highest-performing, easiest-to-use services needed to build and run their applications. Contentful is leading the transition from legacy Content Management Systems (CMS) to content infrastructure. This approach, designed for modern tech stacks and agile teams, unifies all content and makes it ready to deploy to any digital platform. Contentful’s new approach has seen huge adoption by enterprise Fortune 500 companies, disruptive startups and top digital agencies. We digest online content on a diverse set of devices today — switching between our desktops, smartphones, smart TVs, wearables and more. This content has historically been managed with legacy CMS tools, where its delivery and management is all combined under one deployable entity (“coupled”). Today, this results in increasingly cumbersome workflow for developers as the requirements to deliver content across devices grows. Because of this, software application architecture is quickly evolving to a microservices model where large applications are broken down into small, loosely coupled and composable autonomous pieces, unearthing new opportunities for emerging developer platforms. Headless CMS introduced the concept of “decoupling” the functionality of content management, making a CMS significantly more efficient — improving deployment speed, page load times, UI flexibility, amongst other features. There is no front-end for ingesting or formatting content. Instead, there are a set of APIs that developers can leverage in order to make the content available on any application. Content is served to the appropriate endpoint as requested by the viewer — no matter what device they’re on. Contentful is the market leader in headless CMS, helping organizations transition to this content infrastructure approach. This investment marks another milestone for OMERS Ventures! This marks our first investment in a company with strong European roots, as Contentful as offices in both Berlin and San Fransisco. We intend to continue investing in both the U.S. and Europe in the coming years as we expand our geographic footprint beyond Canada. 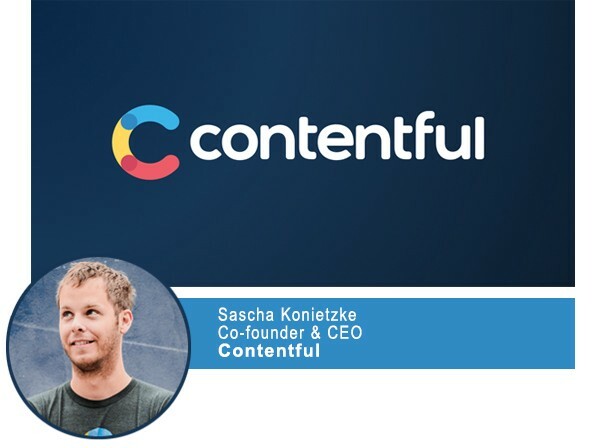 We are excited to be investing behind Sascha and the entire Contentful team to help them power the next wave of API-driven infrastructure for content management. To learn more visit Contentful.com.